According to the National Highway Traffic Safety Administration, 8 percent of all drivers, as many as 17 million people, have driven drunk at least once during the past year. In the face of such sobering statistics, Indiana State University is working to ensure the safety of other students by encouraging responsible drinking, through its Designated Walker and SoberRide programs. Both programs, which will be in effect during Indiana State's Homecoming weekend, are a result of a collaborative partnership between the Student Counseling Center, Student Health Promotions, ISU Police, Office of Communications and Marketing, Union Board, Pepsi and the Dean of Students office. 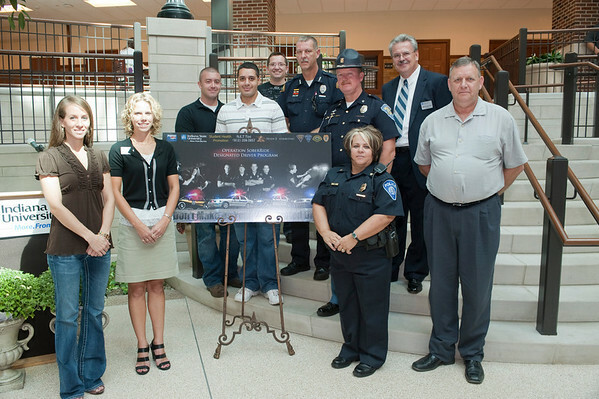 Indiana State's Designated Walker program debuted in 2009, with 31 participants. This year, that number has more than doubled. "Because of the success of the Designated Walker Program, Pepsi inquired about the possibility of creating a designated driver program," Janssen-Robinson said. "It was a natural next step." SoberRide, unveiled on Sept. 15, offers Indiana State students taxi rides to a residence within a designated perimeter of campus. The program will be piloted during specific weekends during the 2010-11 academic year, said Sgt. Jacqueline Smith of the ISU Public Safety Department. 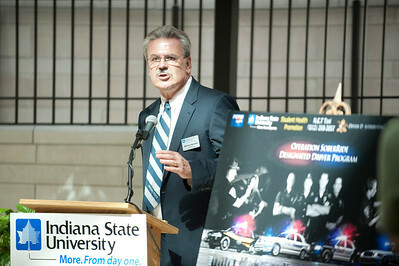 "We will offer rides during ISU Homecoming, Oct. 7-10 and then again in the spring during Strassenfest," Smith said. Indiana State students who are concerned about driving themselves or riding in a car with another driver who may have been drinking can call Net Taxi at 812-208-3857. Dispatchers will then send a driver to drive the student home. Students will need to show their ISU ID card to utilize the service. In addition to the programs, university police and Student Health Promotions will observe National Alcohol Awareness Week Sept. 27-Oct. 1 with a variety of activities, including a crashed car being displayed at Dede Plaza and beer goggle simulations at the Student Recreation Center. "If the program takes off, we'd like to offer SoberRide for the entire academic year with service being provided on Friday and Saturday nights," Smith said. In addition to Designated Walker and SoberRide, Indiana's State will launch a 21st Birthday Card program. Students will receive a card in advance of that birthday, encouraging safe celebrations and reminding them to use the SoberRide. The committee is hoping to expand the Designated Walker and SoberRide programs to serve students at Terre Haute's other higher educational institutions. Currently, SoberRide is sponsored by Indiana State's Center for Community Engagement, Dever Distributing and WTWO. Additional funding is being sought through donations and sponsorships. Sponsorship aren't limited to just area businesses. "Student organizations can participate in SoberRide as sponsors showing their commitment to each other, responsible alcohol use and their futures," said Smith. "Both the Designated Walker and SoberRide programs are an example of the collaborative efforts between the University and the Terre Haute community," said Carmen Tillery, vice president of student affairs and dean of students. "These programs not only ensure the safety of us all, but they provide many teachable moments." The University is working to ensure the safety of students by encouraging responsible drinking, through its Designated Walker and SoberRide programs.